Today is "Hunger Solutions Day" and state lawmakers along with community leaders gathered at the capital to brainstorm ways to fight hunger in Michigan. 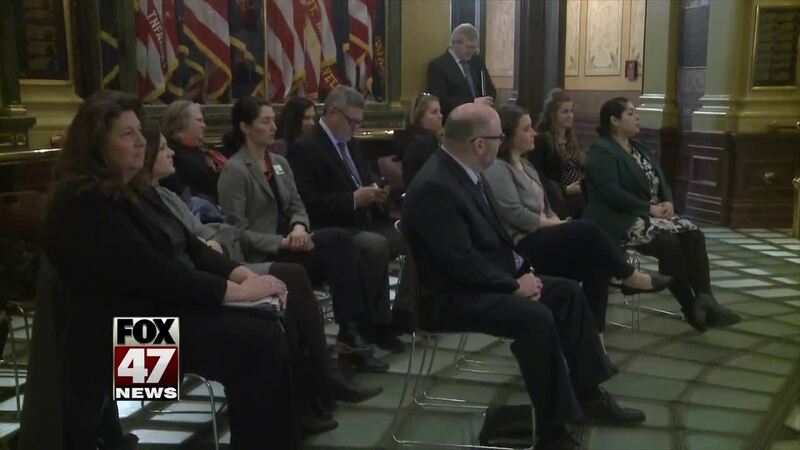 LANSING, Mich. — Today is "Hunger Solutions Day" and state lawmakers along with community leaders gathered at the capital to brainstorm ways to fight hunger in Michigan. The Food Bank Council Of Michigan was also on hand to share their data, and to explain the different resources offered to communities. Gerry Brisson, the food bank's president of the board says, "because there's not a perfect link, for example, between employment and food security, there's people who are working one or two jobs and still don't have enough to make sure they have food on the table for themselves and their kids." According to the Food Bank Council, nearly one-and-a-half million people in Michigan struggle to pay for food. A third of those are children.